Lower your carbon footprint in time for Earth Day by making this one seriously simple change to your everyday routine. The older I get, the more I realize how blessed we all are. Blessed to live in the time period that we do, with technology, information, and truly the world at our fingertips. We have access to so many resources, in such abundance, it’s easy to take them for granted. When I walk outside and take a big, deep breath, my lungs fill with clean air. When I stroll through the grocery store aisles looking for food for the week, the shelves are well-stocked. When I turn on my water faucet, clean drinking water runs out. These resources that are vital for human existence, are all gifts from Mother Nature. And they are not limitless. The more I realize that, the more I realize how important it is for each and every one of us to help do our part to keep the Earth healthy. We’re all in this together. And we all truly can make a difference. One of the biggest ways we can all personally reduce our carbon footprint is by limiting our trash output. Humans create tons of waste. And unfortunately for us Americans, we lead the world in the production of waste. If we all started recycling the basics, we could reduce the amount of trash in our landfills by 50%. That’s huge! If you start doing one thing today to lower your carbon footprint, let it be recycling more. Just like individuals like you and me are trying to step up and do our part, companies are too. Hefty® is known for making strong, dependable trash bags, slider bags, foam plates, and plastic cups. They know a lot about waste, and realized that they can help the world in a large way by shedding light on the importance of recycling and making it easier for their customers to do so. That’s why Hefty® created the Hefty EnergyBag™ program and orange bags. These orange bags allow previously non-recyclable plastics to be collected and converted into valuable energy resources. The program can help reduce landfill waste, reduce the amount of fossil fuels that are extracted from the ground, and make it possible for non-recycled plastics to be collected for recycling curbside. Omaha is the only area in the entire nation right now participating in this innovative program, which is pretty freaking exciting. If you’re local I highly recommend trying out the program so we can help get it rolled out nationwide. Step 3: Securely tie bags once they’re full. Step 4: Place the filled bags inside your recycling bin to be picked up during your regular recycling pickup. Thanks to Hefty®, saving these plastics from a landfill fate is just as easy as putting them in an orange bag and putting them in my recycling bin. 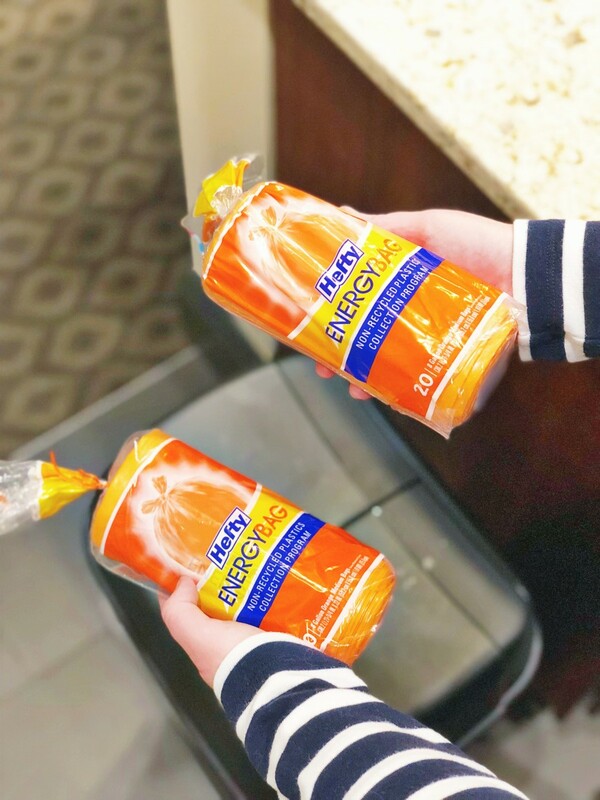 With Earth Day coming up on April 22nd, I’m excited to step up my conservation game and start recycling otherwise non-recycled plastics with Hefty® orange bags. If you’re up for the challenge, I’d love for you to join me. Let’s reduce our carbon footprints together! I’ll be checking back in with you guys in a few weeks with an update on my thoughts about the program. Questions of the Day: Do you recycle? 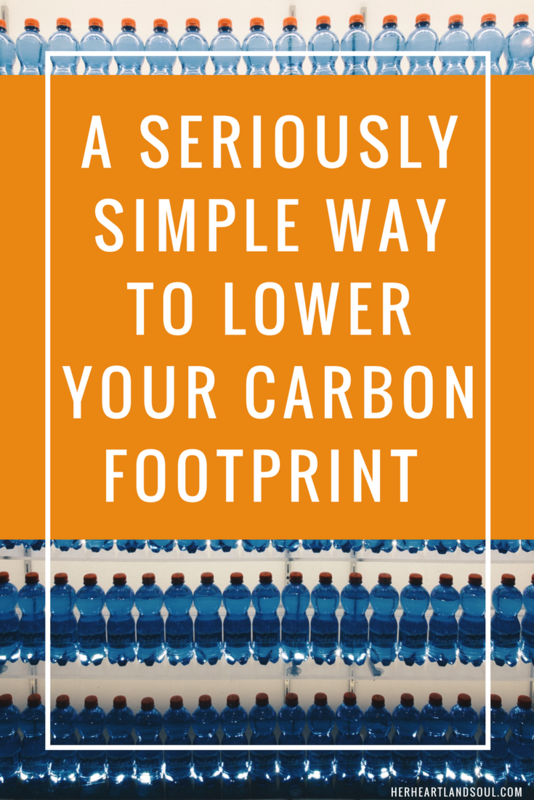 How do you minimize your carbon footprint? Do these Hefty® orange bags sound like something you would use? Thanks to Hefty® for sponsoring this post! All thoughts and opinions are my own. I bought some of these a couple of months ago. It’s surprising how many little scraps of things can actually go in them instead of regular trash. I’m really glad Hefty started this program. I totally agree with you! Thanks for sharing tips. This is exactly what we need right now. I wish we had some initiatives like this in Australia.. In my home town we can’t even recycle anything, it all just goes to the dump as it’s too far to the nearest city or town with a recycling plant – 1500 kilometres! These look great, I really need to recycle more. Thank you for mentioning LIMITING waste. I recently read about how recycling isn’t the answer to our huge trash issues. It’s so much harder to eliminate waste at the source! Baby steps are better than nothing, right? Such simple ideas! I love the water while brushing teeth- so easy to just turn it off! It’s always my weekly goal to have the recycling bin fuller than the garbage bin! I had no idea about these bags, but I’ll for sure be checking them out. What a great program, I’m always so confused about what to do with those plastics. So interesting! I haven’t seen these bags before but I could totally get behind them! My apartment complex recycles which I am SO happy about so I make sure to do that. I also bought some of those stainless steel straws and am trying to make the switch away from regular plastic straws in my smoothies! such a great reminder on simple, practical things to really help the environment. i have to look more into these bags…i have been more conscious about environmental friendly things lately so this is great. As a fellow blogger on trying to live simpler and greener, I’m so excited to learn from others with the same passion! This orange bag program is very innovative and hopefully more cities will catch on. Great suggestions! And an early Happy Earth Day! turning the water off is one I’ve been working on. I’m so bad at it! Great post! I love that Hefty bags is participating in such an important cause!! Looking forward to seeing how your progress is going! Love these ideas! They all feel very doable even with a busy lifestyle. Thanks! I wish that this was available in our area! Such an awesome program! Wow! I blog about zero waste living and I am SO glad I clicked on your post to read it. I have never heard of this program, but will definitely be ordering some of the bags so we can recycle even more of our waste! Thank you for sharing. What a cool program! I hope it really takes off and makes it’s way outside of Omaha!